The fortunes are endless in Frog of Fortune at Slotsbaby, trust us on that one! 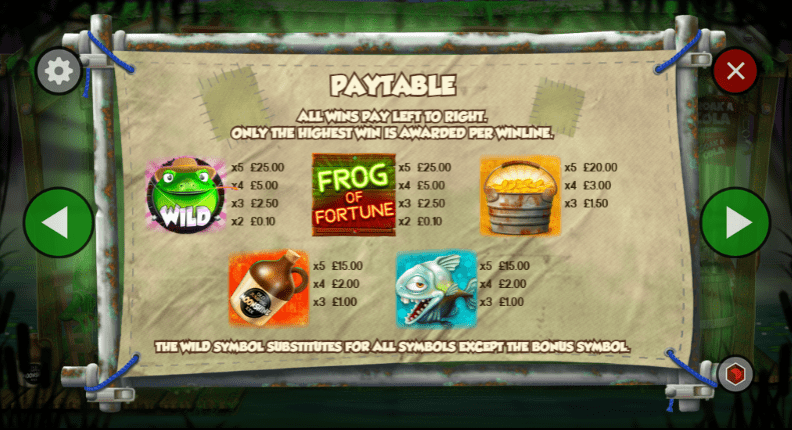 Frog of Fortune by CORE Gaming is one of the most best payout slots online going today, a mix of great gameplay and enthralling additional features, a slot that can be played by individuals of various entry levels. Frog of Fortune is a 5 by 3 slot that doesn’t take itself too seriously given its wacky premise. You see in Frog of Fortune you are going to be helping a hick frog find loads of trash that has been left around his home. One of the main appeals of this slot comes via the high 95% RTP percentage that streamlines throughout, a percentage that will see your scores skyrocket with each victory. If you wish to learn more about this slot then be sure to check out the rest of the review! Finding a reputable online developer can be difficult, especially if you are somewhat new to the game. CORE Gaming are a very reputable developer who have managed to carve out quite the name in the online gaming spectrum, which is something that can be quite hard to achieve nowadays considering the quality of most developers and how many sites there are out there to begin with. Forming a relationship with punters can be quite difficult nowadays, but CORE Gaming have managed to find a pocket that they can operate and thrive in! There is quite a mix of features and casino promos on offer here, all of which offer something quite different compared to some of the other offerings from CORE Gaming. We personally love it when slots try something a little different in their approach, and well in Frog of Fortune, the words off-kilter are pretty much a lock at this point. Random Wilds: During certain intervals, the reels will be joined with additional wilds for you to use in combination with the other symbols that appear on the reels. Wilds in this slot work in all of the ways that you’ve come to expect: substituting for every symbol bar the scatter. Scatter: Scatters are useful in that they will throw around symbols across the board, not only that but they will also earn the player free spins in return. Free Spins: Free spins are the most valuable pieces in any online slot puzzle, offering multipliers that will throw scores up the pay-table should they be found. 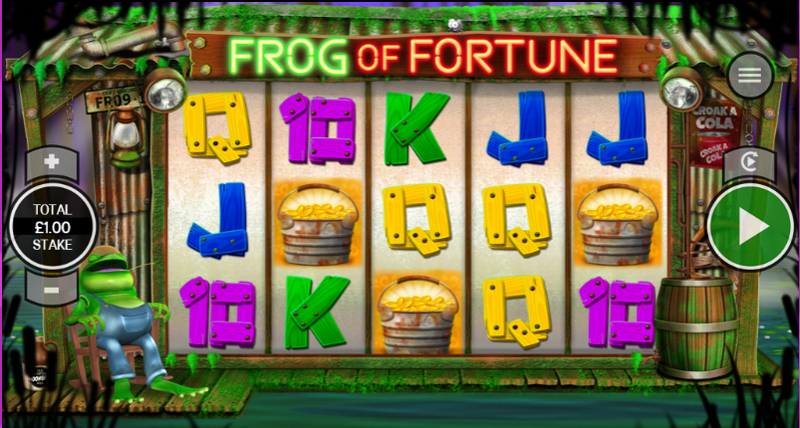 Frog of Fortune is a very enjoyable slot, one that will keep you entertained from start to finish. If you know CORE Gaming, then you will know of their attention to detail, as well as their undying commitment. There is something special about this slot, which is something that every avid player tells us when we ask them. Check out Frog of Fortune today or play other free online slot games no downloads free bonus rounds at Slots Baby!